Amie Engerbretson's mom was sitting in a bakery at the base of Squaw Valley Ski Resort, while her dad was competing in an extreme skiing competition on The Fingers. Skiing was in her blood from day one, and ever since then, she's been charging around Squaw Valley hucking cliffs, drinking beers and becoming one of Tahoe's success stories. But don't get too cocky around her, there's a good chance she can out-ski you and she's happy to show you. Now sponsored by K2 Skis, Smith Optics, Perfect Moment, Marker Bindings, Squaw Valley, Discrete Headwear, Arcade Belts and The True Collection, Amie can be found skiing around the world, shooting movie segments and continuing to further the sport. So what else do we love about her? Click here and find out. 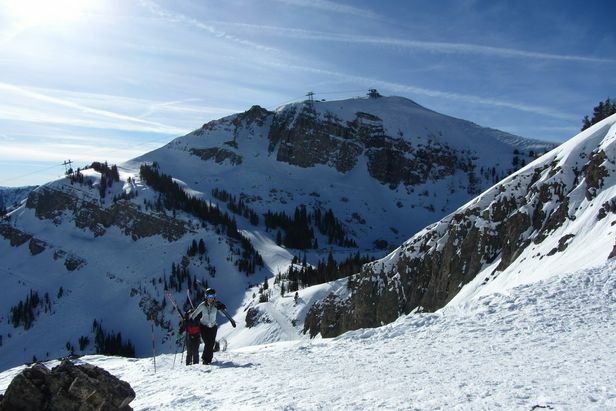 A weekend spent skiing, learning and having a good time at Jackson Hole Mountain Resort with Terra Women's Camps.